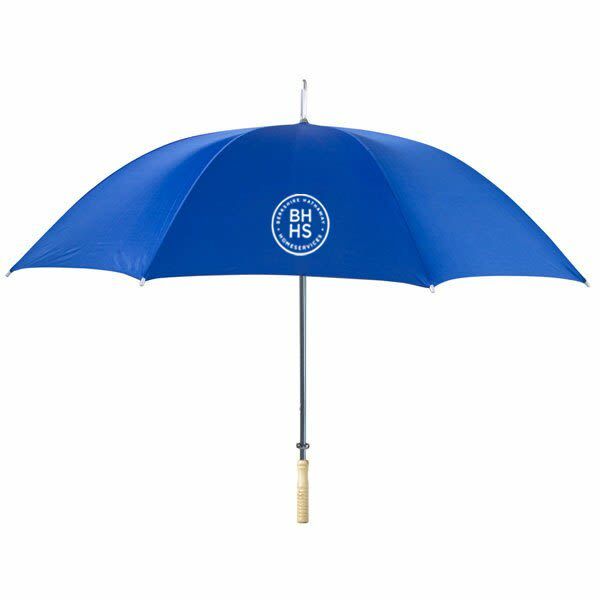 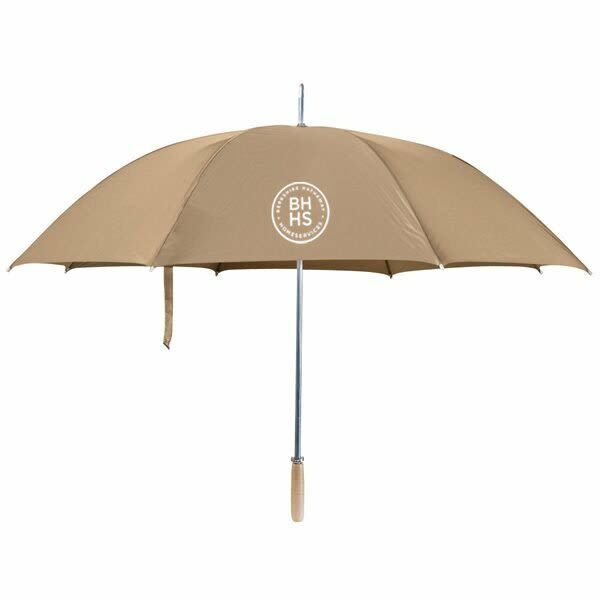 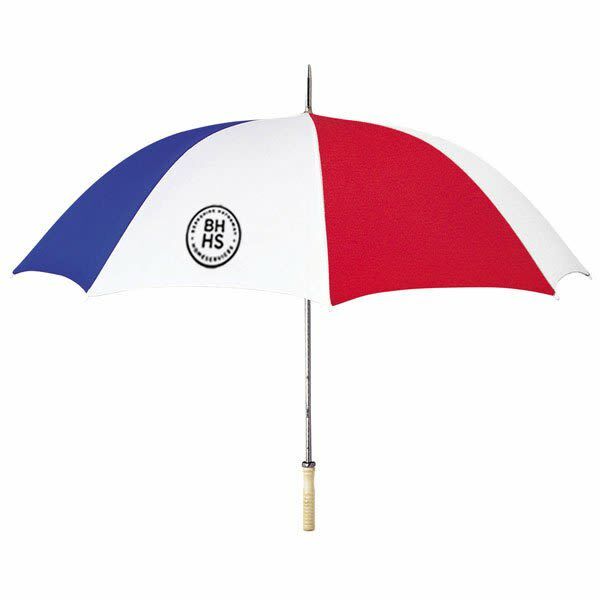 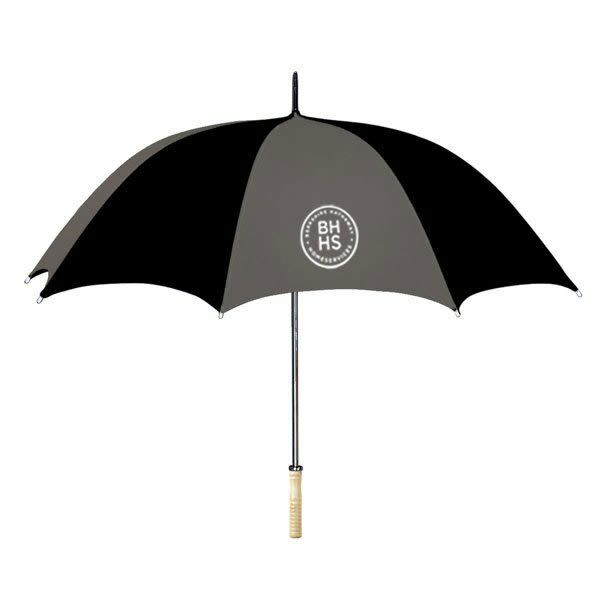 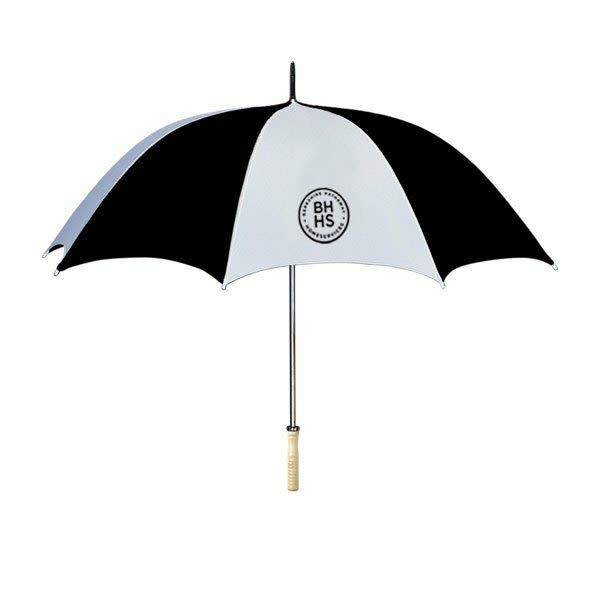 When the button is pressed and this umbrella opens automatically, your logo will pop out to greet the rain. Features a metal shaft with wood handle made with a nylon canopy. This economic umbrella measures 33 in. 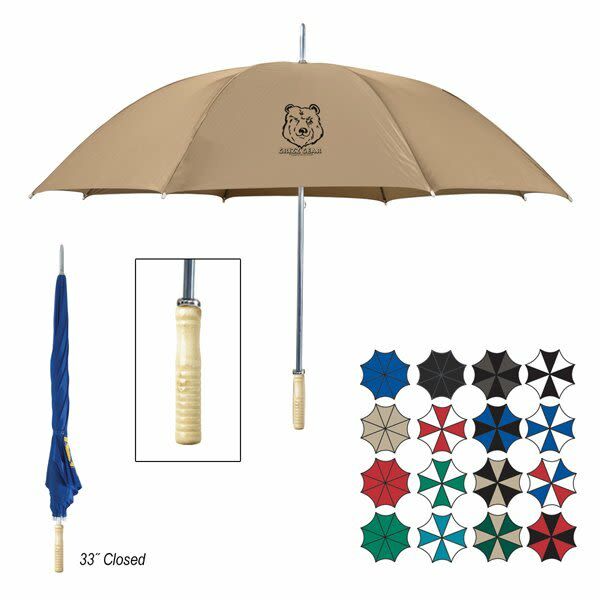 when closed. 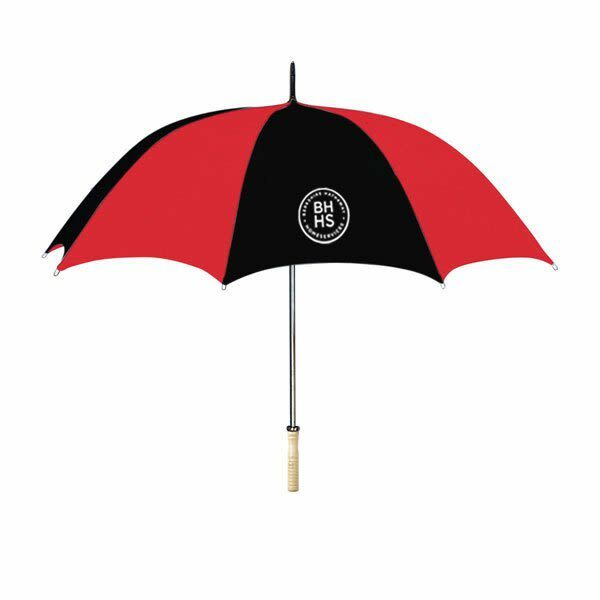 Price includes a 1-color, 1-location silk screen imprint.